Celtic Knot is an independent social work practice. We specialise in social work problems with a legal dimension, including complaints, independent reviews, regulatory matters, and other remedies. We act for service users and social workers. We also provide training and lecture at a number of universities. We are a virtual business. We pride ourselves on ethical and sustainable practice. This wordle of our tweets gives you a flavour of what we are about. We make use of new technologies. We have pens and paper, books and desks. But day-to-day we use texting, twitter and skype, your telephone messages arrive in our inbox, and we can access your file from anywhere. Even, sometimes, from a camper van! We aim to deliver our services in ways that demonstrate respect for human rights and justice, minimise our ecological footprint, and draw on high professional standards. 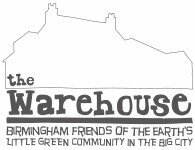 We are part of “the little green community in the big city” hosted by Birmingham Friends of the Earth. Leave a voice mail on 0121 314 2006– this will be forwarded as a sound file to us by email wherever we are.